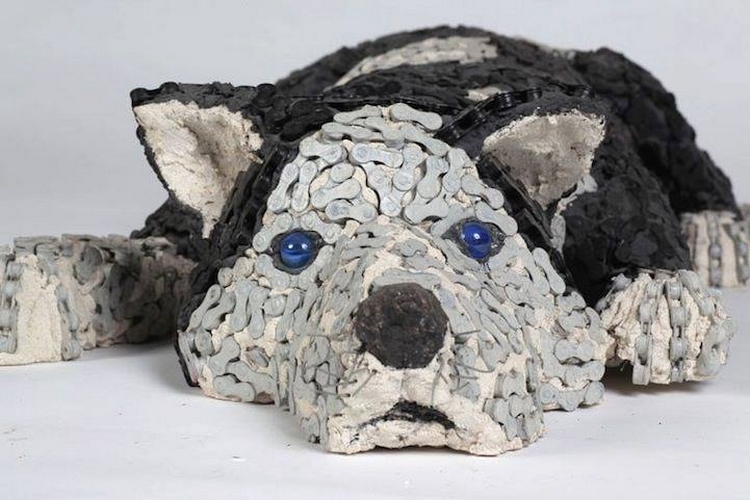 Since we have recycled each and every material that was literally near to impossible near many, and when many of the folks saw those crazy recycling projects some said we have gone nuts, and some who were equally obsessed with the recycling art, they also admired us. So we just took the admiration and considered it to be a go ahead. 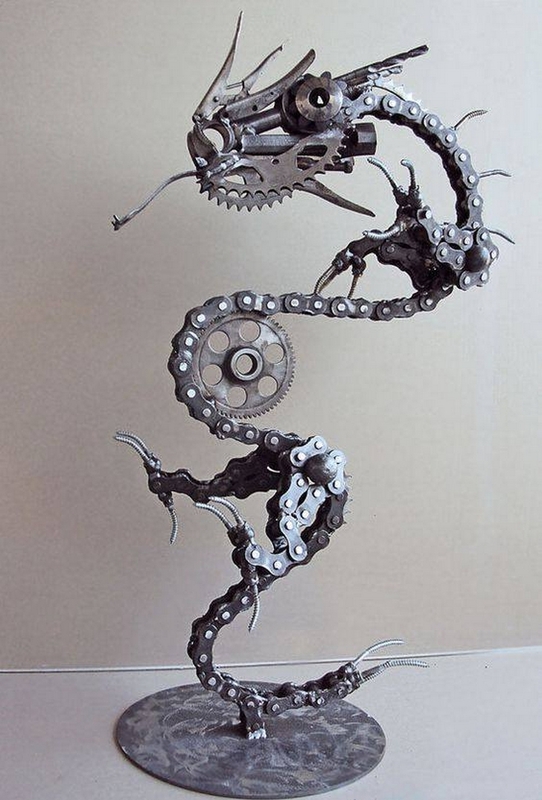 Here again we are bringing some excessively crazy recycling ideas which are the sculptures made from the recycled bicycle parts. 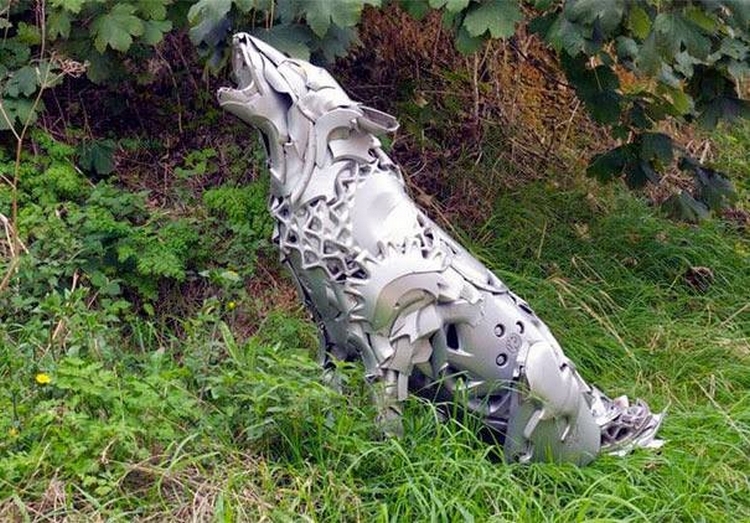 It seems as if in this era of machines and gadgets, the decoration pieces have also changed their dimension and from now to onwards they would be something like them. 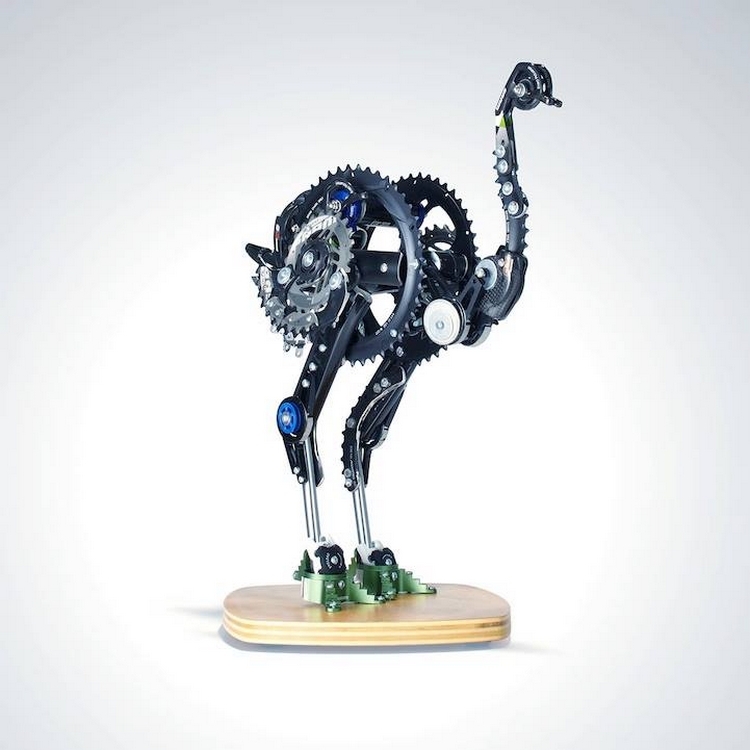 I mean who simply would have known that this beautiful animal is made with the bicycle parts that were taken from several bicycles that had been dumped and were scrapped to be wasted or dumped. But we didn’t tolerate such a cruelty with such a useful material. This one would definitely remind you of the science and fiction films that are based on some super natural creatures like dragons and monsters. I think this would lure your kids a lot if you bring this home for them. On the other hand it also makes an awesome decoration piece as well. Awwwww…. I just love this cute Russian pedigree of little puppy. This looks like a perfect Russian puppy, the only difference is that it is not the real one though it seems like one. 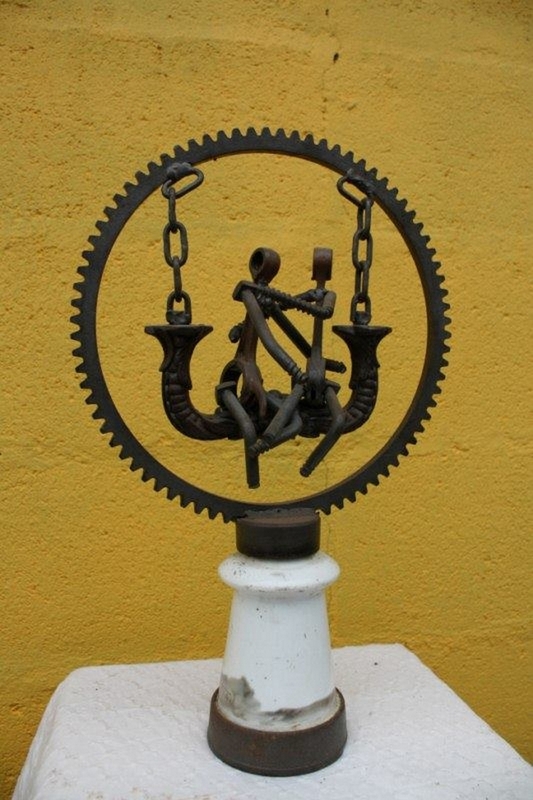 Just look at the hair that is made with the chain. 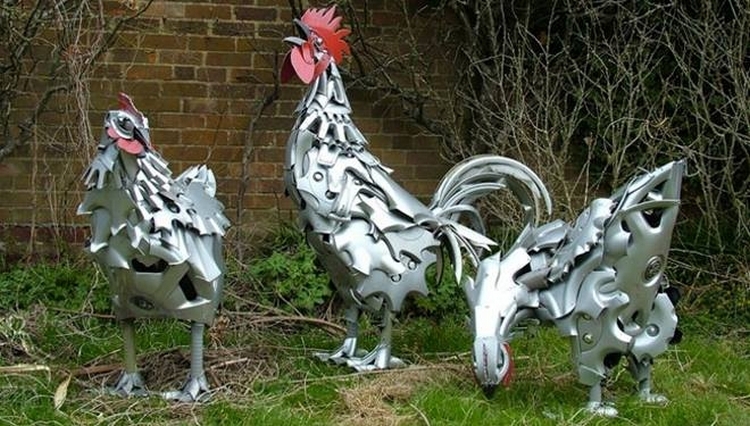 I think these smart chickens really belong to some terminator’s farm because nowhere else one would see this sort of iron made birds. 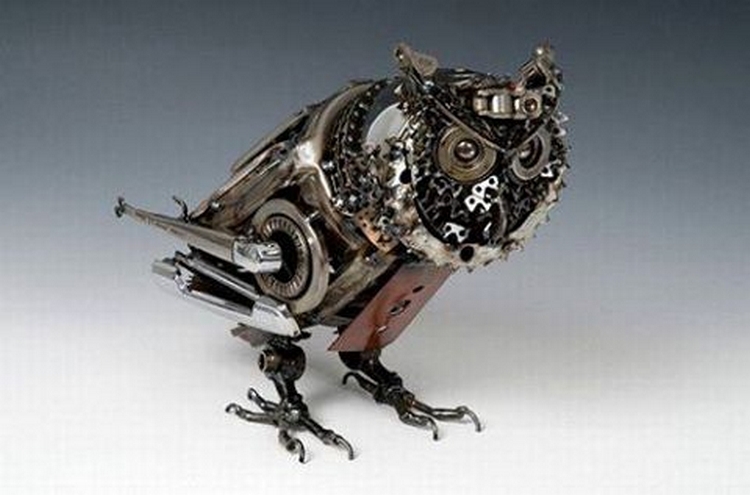 But other that the sarcastic comments, just look at the perfection that is rendered to these cute birds despite of such a hard material that is recycled here. This dog seems to be waiting for the master who is probably in the war zone. 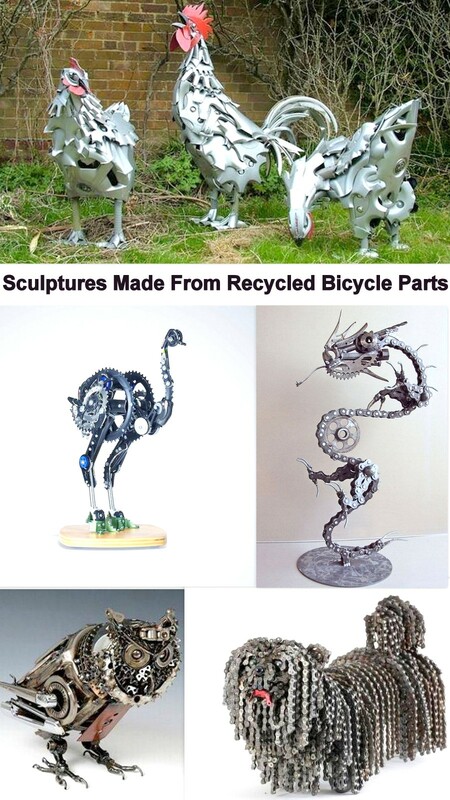 I am simply loving the perfection that is brought in all of these recycled ideas no matter what material was used in making them. 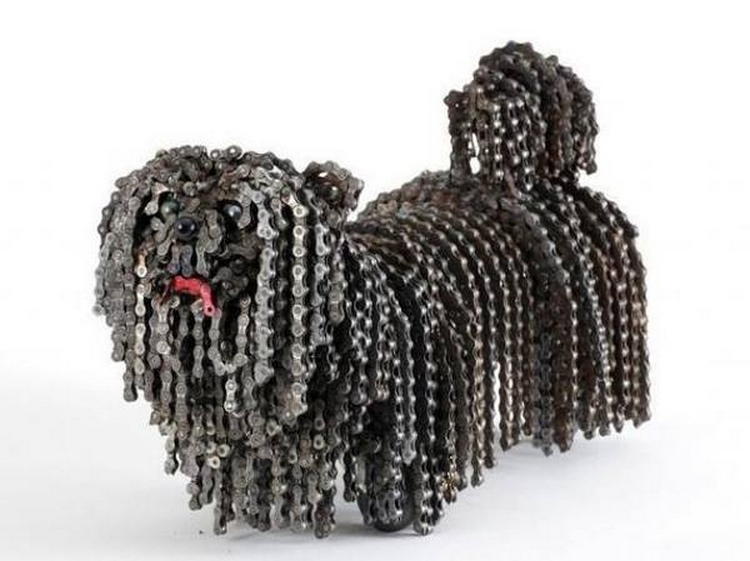 The bicycle chain was disassembled into single units to make this pet dog. Well, I am not going to tell you guys at all what animal is this exactly, you have to figure it out at your own. 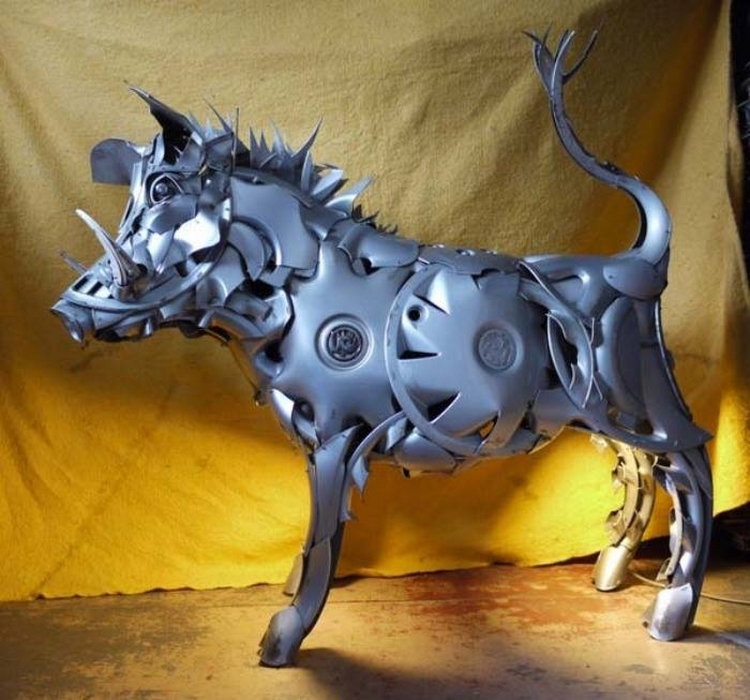 Seems like the parts are reclaimed from some very high fi mountain bike as this sort of wheels cups are not that common and ordinary at all that are used on the stomach of the animal. Who said that owls are used as a metaphor of dumbness? Well, in this modernized world even they have changed their looks and have become so smart looking. There must not remain any doubt about their intelligence I guess. And this bird, obviously one of the biggest or actually the biggest one called ostrich was made to make the kids familiar with its looks. Because kids here in West just happen to see them in mere zoos. I think this recycling project would unleash a very strange aspect of your personality.